Send your affectionate thoughts and prayers to your siblings and dear ones this Raksha Bandhan with this Arresting Hamper of Crispy Dry Fruits and Marvelous Pooja Thali adorned with 2 free Rakhis, Roli Tilak and Chawal. The size of the Thali is 7 to 8 inches and the Dry Fruits weighs 250 Gms. 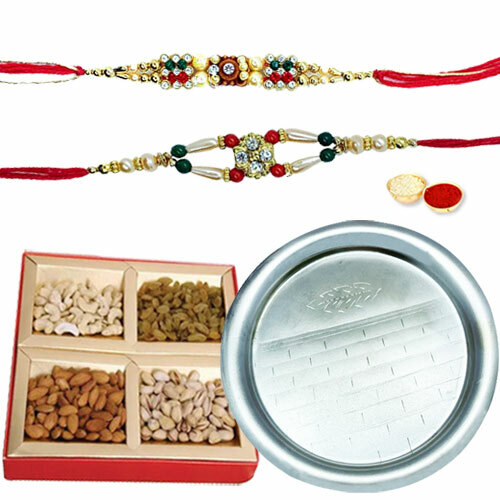 The pattern of the Rakhis may comes with variations as per availability.